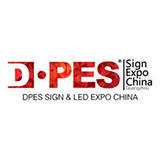 "International trade fair of digital printing, engraving and signage systems"
D.PES Sign & LED Expo China provides a global platform for the display of products like digital printing equipment, lightbox, display equipment, CNC equipment, digital printing material, laser engraving equipment, consumable product, sign, signage, LED and all that is associated with the signage and LED industry. Known for presenting top technology and the most innovative of tools in printing and signage, it brings together key decision makers from the digital printing and signage industry under one roof so that new technologies can be discussed and debated upon. This event with its focused business sessions gives in insight into the future of the industry. Thanks for visiting DPES 2018. Sparepart supplier booths are always standard small booths which are located on both sides of each hall. DPES 2019 will be held on Feb. 20-23. Hope to see you again. Make a 3days exibition full time, i motice on last day was 1/2 days only. Thanks for visiting DPES 2018. Yes, please be noted that in China, if shows are four days, the last day is always 1/2 day only. There was all my China partners!! Thanks for visiting. DPES 2019 will be held on Feb. 20-23. Hope to see you again. Indoor & Outdoor large Format Printer, Inkjet Printer, UV Flatbed Printer, Banner Machine, Laminating Machine, Screen Printing Machine, Thermal Transfer Equipment, Screen Printing Equipment, Digital Image Output Equipment, etc. Ink, Flex, Vehicle Graphics, Adhesive Film, Coatings, Laminates, Reflective Materials, Inkjet Printer Paper, Acrylic Panel, PVC Foam Board, Aluminum Composite Panel, etc. Advertising Engraver, Laser Engraver, Wood Engraver, CNC Engraving System, Cutters and Cutting Equipment, Carving Machine, Polishing Machine, Bending Machine, Plastic Vacuum Forming Machine, Sign Equipment, Acrylic Equipment, Acrylic Components, etc. Advertising Equipment, Portable Displays, Shelf &Other P.O.P. 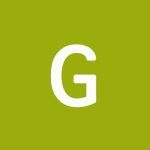 Products, Light box, Illumination Products, LCD, Prismatic Displays, Signage, Sign products, New Media Technology &Equipment, and Design Book, Software, etc. LED display, LED chip, LED packaging, LED equipments, LED light, etc.